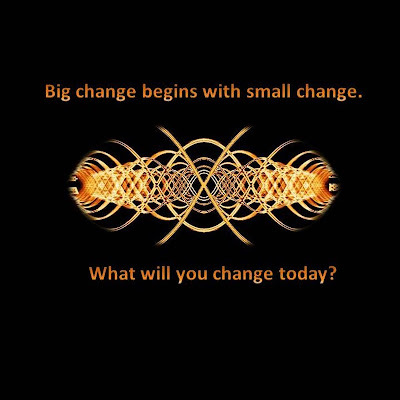 To get all of the Big change through small change action, please contact our group on Facebook to join. Week 1 - "just because" gifts. Ok, I admit it - I am a pathological gift giver. I love surprising people. I love feeding people. It's just fun for me. And I am not alone in this. When my friend Virginia Roberts was moving, she let me have some of her fantastic vintage stuff she was not using. In exchange, once she moved, I sent her some books, some wall art and some home-made goodies to help her feel more at home in the new place. My other friend Lois Hammond and I routinely try to outdo each other in terms of who sends more food to whom. I make a lot of home-made jams and pickles, but she has a Russian foods store nearby. So, we keep sending care packages back and forth. In general, there is just something about having something that someone else doesn't have, and being able to share. For instance, if you have friends that got hit by this summer's weird weather (extreme drought on one side of the country, and extreme rain on the other), send them some home-grown veggies and herbs, because theirs probably didn't survive. If someone you know is sick, recovering from a surgery, or just feeling lonely and going through a tough time, put together a little box of things for them - maybe a humorous book, some good cookies and hot chocolate. USPS has an awesome Click-n-Ship option, where you can print out your own shipping labels. I use it constantly. I even replaced my broken postal scale for this very reason - to be able to weigh packages and be my own one-person post office. There are many small boxes that fit into regular mail boxes, and there are many nice and thoughtful things you can fit into a small box. So, stay tuned to your friends and family, and become a "make someone's day" expert. It is absolutely worth it. Week 2 - put away grocery carts. You are going to roll your eyes and say, "That's too easy!" Agreed. It's very easy. Which makes it all the more mysterious why more people don't do it. So, the next time you are at the grocery store, please do return the cart either into the parking lot stall or all the way to the store. If you see someone who had just gotten out of their car and is headed to the store, ask them, "Hey do you need a cart?" and let them have your cart. Easy-peasy! Week 3 - I am ripping this off directly from What your clothes say about you - Trinny and Susannah take on America. Because why try to improve on something that has already been said perfectly? "Look around your home. Is it tired, cluttered, and just a little bit dirty? Take a day to go around your house to touch all of your possessions and choose to have them in your life. Then get rid of everything that is not chosen. Now you'll be living in a home where everything feels loved and in its place." Some time ago, a friend expressed her frustration about her husband's excessive TV watching. We bounced a few ideas around, and she and her husband agreed on a compromise - he would give up two days of TV and she would give up two evenings of Facebook every week. Fair enough. While this proved to be somewhat challenging - like any change - they stuck with it and filled the free time with other things. More hiking, more taking walks together, just... more time when they could look at each other as opposed to at the screen. As someone who works from home and is often alone five days out of every week, I can understand the value of internet and TV. But I still must ask - do you really, REALLY need the super-cable package? If you can find it in you to cut down the TV time, spend some of that time thinking, how much do you really watch and what you can give up. Most popular shows can now be downloaded via iTunes or added to the queue on Netflix. You can get every bit of news from all over the world from the internet. If you are a sports fan, you can either adjust your cable or satellite package to include just your favorite sports channels, or watch the games with friends. Most people don't realize how much they structure their lives around their TV watching habits. Try going without - at least for a little bit - and you'll be amazed how much time you suddenly have to do other things. To finish projects that have been waiting in line for years. To finally paint the guest room. To take your spouse out on a date. To read that stack of books on your nightstand. Lots of other things. Member stories My first husband was paraplegic, so I have been following the development of this technology for some time. I am glad they finally got it to such a compact and practical form. In addition to expanding access and reach for people with disabilities, this also provides a very basic need of improving their circulation and reducing atrophy. An open letter and ongoing search for real world solutions to our many, many problems. In a globalist system we will all suffer from the problems so we must all seek our part of the solution. I am posting this on all my pages for maximum impact. Spread the word - there is no way to say this better. 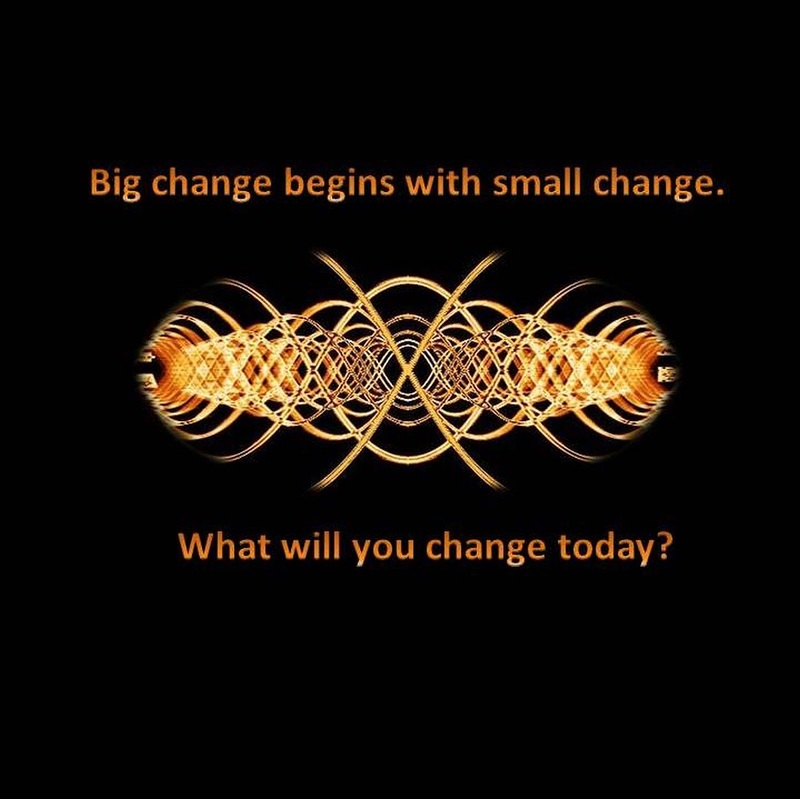 Small and simple things we could all be doing to propagate big change. Some of the sellers at our farmers' market sell heads of lettuce and other salad greens with the root still attached, to help them stay fresh longer. We bought one, and after we ate the leaves, I let the root sit in a glass of water for a couple of days to help it recover from the shock and then planted it in one of my herb planters. I just checked it - and there are brand new, fresh baby lettuce leaves growing out of it. I am really excited about this - this means I can "recycle" those salad greens. The next time you buy leafy greens for your salad, check to see if they are sold with the root and give it a shot. Ok, many of you don't worry about this--and I wish I didn't have to, but how many gallons could you find new ideas for? 8 ways to recycle plastic milk jugs. I understand that glass is more fragile and challenging to transport. However, I am glad to see local businesses to go back to glass containers. I re-use glass pickle and pasta sauce jars for my own pickling and canning, and we also use the glass milk bottles to put away leftover coffee. Want to help but don't know how? Here's one that's SO easy - buy a giftcard the next time you're at the store and send it to www.cancercardxchange.org - they'll pass it on to a cancer patient in need. Wondering, which college to send your kids to? Consider this - 10 eco-friendly college campuses. On-line organic vegetable delivery sources.